Everyone is scrambling to see how the new tax law will effect them and how it will play out on their own taxes. Like real estate.. location location… location.. In general and overall, it should play well for the economy, the country and how it impacts each taxpayer is yet to be seen. However, for real estate the mortgage interest deduction was saved albeit trimmed again from the already capped $1,000,000 of mortgage loan interest to $750,000.00… depending on where you live this may or may not impact you. The other hot issue for real estate is the capping of state and/or property taxes to $10,000. Again, depending on where you live, this may or may not be an impact. 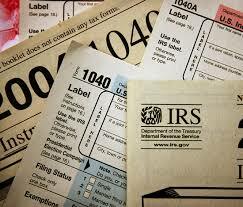 Charitable contributions remain a deduction. These all flow to the Schedule A for Itemized Deductions which now have to exceed $24,400 since the Standard Deduction has doubled but the Personal Exemption Deduction had been eliminated ($4050 per person). Simplified? For more Highlights on the new Tax Law in all its wonder.